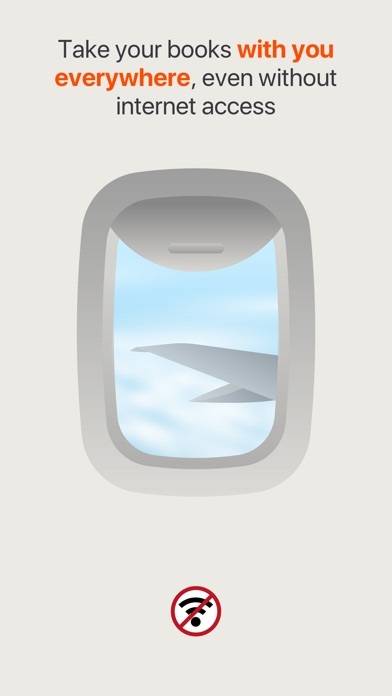 IOS App Developer: LITRES GLOBAL S.A.
• Read! - a huge library in Estonian, English, Lithuanian, Latvian, Russian and other languages. 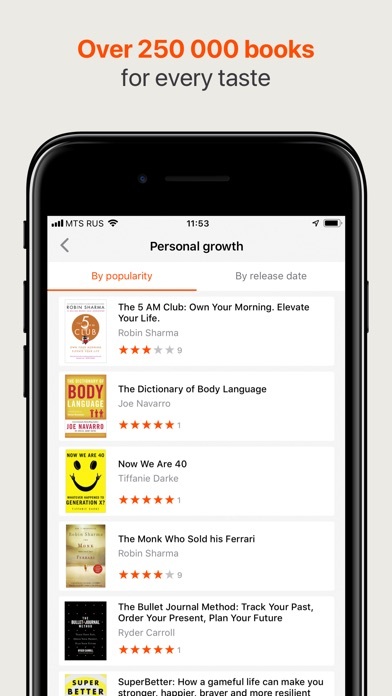 • All the latest international bestsellers • The #1 reading app in the App Store • Over 10 million of happy customers • The largest catalog — over 250,000 books Welcome to Read! It’s a great way to read your favorite books on your iPhone or iPad. For you: · Access to 250,000 books in your favorite genres: fantasy, science fiction, business, Russian literature, DIY, romance, mystery, action, business, self-improvement, psychology, and much more. · The first 20% of any book is free. What if you don’t like it? Read and choose which books to get. · The hottest new releases. Be the first! Most new releases appear in the LitRes catalog at the same time the paper book is released. · Over 32,000 free books — read to your heart's content! · Enter regularly-scheduled drawings and win valuable prizes for registered LitRes users. 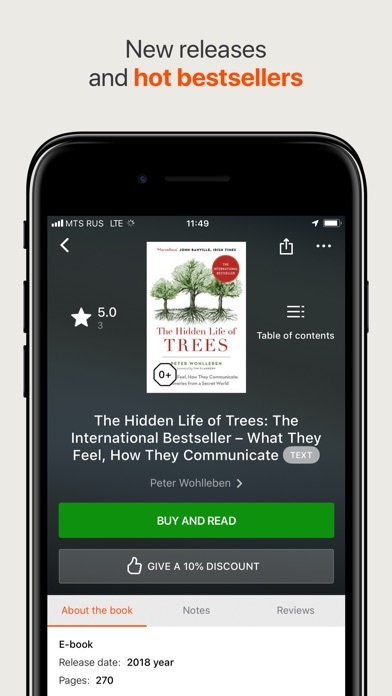 Special features: · Your books are always with you — all the books you have purchased are available to you on all your devices and the LitRes website (as long as you use the same account) · Start reading on your iPhone, pick up where you left off on your iPad! All your bookmarks will be synced across all your devices and the LitRes online reader (as long as you use the same account) · The convenient search function lets you search for books based on various criteria. Do you only know the author's last name? Or are you trying to find a new fantasy novel to read? Our search function can help! · You can sign up in a single tap using your social network account To select a book: · Read large free excerpts before you buy the book (up to 20% of the book) · Read book reviews by other users or write your own · Study the author's official web page with biographies, critiques, and easy access to series of books While reading, you can: · add the pages you need to your bookmarks · see how many pages you’ve read and how many you have left · fine-tune your reading experience for maximum comfort — adjust book background, screen brightness, and font size · access you entire library in offline mode even when roaming or outside a network area (you will have to download the books beforehand) · enable nighttime reading mode with a single button If you like a book, you can: · buy it with a single tap or put it in your cart and buy it later from your current device or a different one · share information about the book with your friends on a social network Get access to the best books and read online. Enjoy authors such as: Boris Akunin, E. L. James, Alexandra Marinina, Sergei Lukyanenko, Darya Dontsova, Dina Rubina, Tatyana Ustinova, Roman Zlotnikov, Jojo Moyes, Tatyana Polyakova, George R. R. Martin, Vadim Panov, Sergei Tarmashev, Dmitrii Glukhovsky, Elena Zvyozdnaya, Stephen King, Max Frye, Maria Metlitskaya, Oleg Roi, Andrei Kruz, Yekaterina Vilmont, Donna Tartt, Zakhar Prilepin, Artyom Kamenisty, Dan Brown, Viktor Pelevin, James Rollins, Robert Galbraith, Vadim Zeland, Dmitrii Bykov, Alexander Mazin, Erich Maria Remarque, Anna and Sergei Litvinov, Natalya Zhiltsova, Dmitrii Rus, Jo Nesbø, Anna Gavrilova, Irene Kao, Viktoria Tokareva, Alexander Pushkin, Anton Chekhov, Fyodor Dostoevsky, Leo Tolstoy, Ivan Turgenev. Most popular books - Anna Karenina, War and Peace, Crime and Punishment, The Brothers Karamazov, Fathers and Sons. Note: the LitRes app may collect anonymous usage statistics. Очень нравится это приложение, отличные цены. Thank for good selection of books! I enjoyed this application. Good books in Russian and user friendly app. 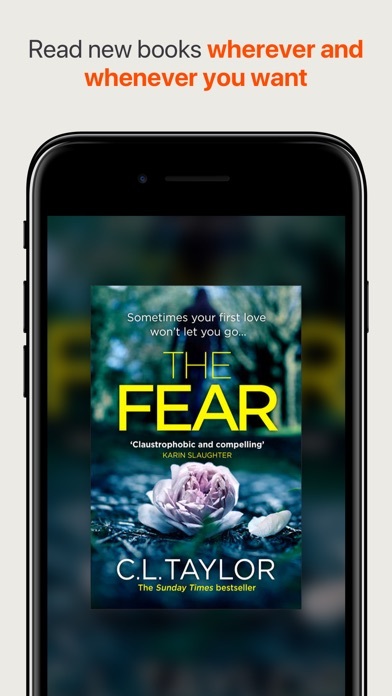 I had used the website before to purchase books but the app makes it even easier to read while on the go as well as save titles or authors I am recommended but have not yet committed myself to read. I use 3 reading app and this one is good to read Russian books. There are a lot of freshly published books. However some books I’m interested are not available for downloading for unknown reason. The app is a little glitchy but has a very good and fast customer service. The service they provide is good, the library is big and has several optional languages including English, not just Russian. I think they will fix glitches, so I will stick with them. For me as a for Russian living in the USA its the best and easiest way to purchase a book in Russian one click and storage them in one place. The book never opens! I only see the title and reviews. Upd. I somehow managed to download the purchased book. Thank you. Отвратительная читалка и нет экспорта в нормальные приложения, деньги на ветер. На сайте пишут можно скачать, можно в их отвратную читалку.. шарлатанство!!! More IOS Apps by LITRES GLOBAL S.A.